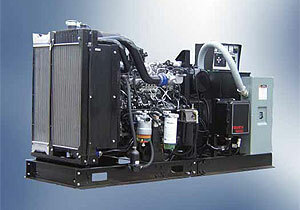 Volts Energies distributes and assembles a wide range of quality generators of from 1 kW to 600 kW. Our generators are equipped with the new generation of engines that allow you to save money and to reduce the emission of greenhouse gases without taking into account possible additional savings realized by combining other sources of energy. Volts Energies offers generating sets of the most recognized manufacturers: AB Gensets Inc., Yamaha, Honeywell, Generac, John Deere, Cummins, Isuzu, Mitsubishi, Kubota, Perkins, Yanmar, GM and many others. From affordable, simple, compact and easily transportable generator to the more complex generating sets, which allow the power supply of desired objects, even when no centralized electricity is available. Volt Energy offers service and maintenance plans for your generator and transfer switch of all manufactures.